I recently received the October issue of The Costco Connection and as I was flipping through it I noticed this short article about the effects of prolonged sitting. Jennifer Nelson who wrote the article first talks about the importance of gravity on our body. Gravity keeps our body from stretching out, gives it something to push and work against. She says sitting is a lot like being without gravity, especially if we’re sitting 8 – 12 hours a day. When sitting we’re not using our postural muscles, the ones that keep us upright and walking, so the tendency is for them to weaken. On top of a weakened core add to that all the crazy postures we get into as we sit; slumping, leaning toward the computer with our head and neck far in front of us, legs tucked under the chair and so on. It’s no wonder our backs hurt! And we’re not just sitting at work, which for many is already 8 – 10 hours a day. We’re sitting on the way to and from work, siting for meals and sitting more as we plop in front of the television at night. So how can we counter the effects of all this sitting? For starters, be sure to keep good posture. Sit up straight, feet flat on the floor, abdominal muscles engaged and get an ergo consult so that you are positioned properly with your computer. The other important piece of this however is to take breaks from the sitting posture and change it up. I suggest to my clients that they set an alarm to help them remember. Every 20 or 30 minutes is great, but at least once an hour, get up and out of that chair. Some companies offer standing stations or desks that change from sitting to standing. If this is not an option just getting up and doing some shoulder circles, stretching your arms, shake out your legs can be just the thing to liven up the body again. The moral of the story – if we don’t use it we’ll lose it. So put gravity to work and get out of that chair! I want to share a wonderful article I just read on the benefits of CranioSacral Therapy and how this modality can have a powerful effect on our health and well-being. If you’ve heard of CranioSacral Therapy but are still not sure what it is or why you’d want to have a session, this is a great article to read. Paul puts it plain and simple which I like. If you’ve never heard of CST this is a good first read. In the 17 years that I’ve been doing bodywork, some of the most profound transformations I have witnessed have been with CST. This modality has some very unique and valuable tools to teach which often result in lasting change for my clients. And that makes me very happy! Enjoy the article. Feel free to contact me if you have any questions about CST. Originally published in Body Sense magazine, Autumn/Winter 2010. Copyright 2010. Associated Bodywork and Massage Professionals. All rights reserved. It’s no secret that proper nutrition, exercise, and living a low-stress lifestyle are among the keys to good health and longevity. If we pay close attention to these three cornerstones of our health, our body will reward us with vitality and well-being. Amazingly, even when our body gets a little out of balance–a sore tennis elbow, an irritating cold, or an achy neck from a tense business meeting–we are each equipped with a high-performing immune system miraculously designed to heal our body and protect us from disease. Craniosacral therapy is one way to optimize that system and create balance within the body. The demands of a modern world often challenge our immune system’s ability to keep up. We get pulled in competing directions–work, kids, telephones–with everything vying for our time and attention. Stress has a way of creeping in and cutting us off from the precious life forces that lie at the root of our foundation for health. If we haven’t been building and maintaining the nutrition, exercise, and stress management cornerstones we need, then the sore tennis elbow, cold, or tense neck becomes more serious and our health foundation starts to crumble. When this happens, we instinctively reach out to our doctors to “cure” us. We fail to realize that nature has already provided us with our very own inner healing force–the craniosacral system. My role as a craniosacral practitioner is to help clients find a way to optimize their own healing force so they can build a solid, healthy foundation, or restore it if the crumbling has already begun. Craniosacral therapy is a healing modality that grew out of osteopathy, the ancient art of bone-setting. In craniosacral work, the subtle art of precise and gentle touch is applied to correct imbalances in the fluid and membranes surrounding and protecting the brain and spinal cord. The CSF plays several important roles in your immune system’s performance. These include offering protective covering for your delicate brain tissue, delivering glucose (a type of sugar that nurtures and cools the brain) to the cortex brain, inhibiting viruses and bacteria in the brain, and forming a transport medium between the blood and the brain. CSF has a big job to do, but a variety of health problems can create an imbalance in the flow of the CSF, limiting health and clarity. If CSF can flow unimpeded, then the body has the opportunity to maintain and/or restore balance. Proper performance of the craniosacral system and its fluids is essential to the entire central nervous system, which is a network of specialized tissue that controls the actions and reactions internal to the body, and the body’s adjustment to its environment. The crazier your environment, the harder it has to work. The two main components of this system are the brain and the spinal cord. Think of your brain as a computer and the spinal cord as the cable. The spinal cord links the computer’s input and output to the rest of the body. Remarkably, your entire motor function, learning patterns, and emotions are affected by the craniosacral system, as your whole body expands and contracts with the rhythm of the pumping fluids. This is where craniosacral therapy can improve the functioning of these essential self-healing systems. Think of your craniosacral practitioner as your partner. You and your body do the work, but your practitioner lends his or her knowledge and skills to help you. Together you are able to bolster your body’s own resistance and improve how your central nervous system responds to stress and illness. When soft touch is applied to this system, clients can achieve incredible releases from long-standing restrictions, stress, and tension. Craniosacral therapy achieves not only relief from physical pain, but also restoration of clarity and emotional wholeness as well. During a craniosacral session, the practitioner will have a space devoid of distractions. In my practice, I refer to this as the “sacred space,” because I strive to embody the philosophy that time and space are special, unique, quiet, and restful. The practitioner will ask questions to try and understand what health concerns the client has. This is a critical part of the healing process because craniosacral therapy offers many techniques that can be directly customized to the client’s needs. By having a conversation first, the client and practitioner can work together to find the best option for healing. Next, the client lies on a traditional massage table, fully clothed, and the practitioner begins to apply a slight amount of pressure (about the weight of a dime) to the craniosacral system. In my case, I draw on more than a hundred different techniques from my years of training and use a precise, gentle touch to areas such as the brain, spine, or other parts of the body. Intuition, perception, and intention come into play here and I use these gifts to direct me to go to those places needing the most attention. Once the body is in a relaxed state, craniosacral therapy has the ability to teach on a cellular level. The body knows this, that is, every cell in the body will remember the connection with the forces of healing, and the more the body remembers those forces of healing, the more it can allow itself to heal. For example, if you’ve had a stiff neck in the past due to stress, it is likely next time you have stress, your neck will get stiff again. The cells in your body remember and now equate stress with a stiff neck. This same “cellular memory” can be achieved in a similar, but positive, way by giving the body–and the central nervous system–an extreme and wonderful experience of deep and often profound relaxation through craniosacral therapy. The more the body remembers this natural state, the more it can allow itself to heal. 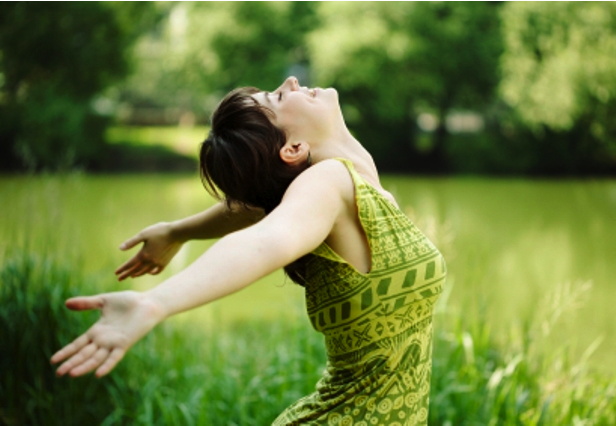 By the time you leave your session, you will most likely feel relaxed, refreshed, and re-energized. Some clients even report “a reawakening of power” as the body, mind, and heart find their own profound medicine. Most of us have mastered the art of “doing” in our crazy, activity-filled world, but “being” is actually tougher, much more rewarding, and is truly a gift. Lao Tzu, the prolific sixth-century B.C.E. philosopher, said, “The source of all great movement lies in stillness.” I’ve often been awed by what the body can do when we give in to the stillness–when we slow down enough for the body to respond positively to its own healing ability. While craniosacral therapy is a complementary practice, I also view it as a spiritual practice. Now, more than ever before, we are witnessing a return to healing that encompasses the totality and wholeness of the body, mind, spirit, and psyche. We are paying more attention to what we eat, we are looking for alternatives to drugs, and we are stopping to think for a moment before we make that call to the doctor. We are flexing the muscles of a deeper consciousness as we strive to experience what it means to live a healthy and authentic life. In many ways, we are reaching out to the spiritual roots of our healing. By tapping into our inner healer, craniosacral therapy helps us get there. It’s finally summer here in the bay area, but that doesn’t mean that allergy season is over. Especially this year. With the extremely wet weather it seems like everything is blooming double time and more people than ever are being affected. Take me for instance; I have never been affected by hay fever until last year. I had some acupuncture treatments, drank nettle tea and did pretty well. This year however was brutal! Acupuncture and nettles just couldn’t touch it. I had no idea my eyes and nose could itch so much. I felt on the verge of insanity and wondered how on earth I would see my clients when I was sneezing and itching this bad. I was so desperate for relief that I tried over the counter meds. Nothing. In fact, I think some of then actually made me feel worse. Just as I was contemplating a spring and summer spent inside with the windows shut and an air purifier on, I remembered a company that my acupuncturist told me about. Tango Advanced Nutrition. They make Chinese herbal formulas, and they really work! They have a local store front here in Noe Valley so I went down to investigate. I bought a bottle of Allerphase, took 2 caplets like the bottle said and waited. To my surprise and delight it worked! I had had a long conversation on the phone with Jim, the owner of the company, so I was hopeful that the product would do what he said and it really does. 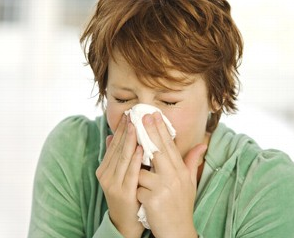 Allerphase just doesn’t just mask your symptoms, it takes them away. No side affects, no jitters, no groggy feeling. I felt normal at last. In fact this entire allergy season I have forgotten that I was so plagued by hay fever. My results were so positve that I became a whole saler and now offer these products to my clients or they can be purched directly through Tango. I have since tried some of there other products ( Immunophase and Arthriphase ) which I am equally happy with. One thing to mention about the Allerphase, it does work right away and you need to take it 3 times a day till you get it in your system. Then you can start to decrease as symptoms get less. If you are an allergy sufferer to pollen, mold, dust or pet dander do yourself a favor and try this product. It really does work. If you have any questions about this product of any others feel free to contact me, I’d be happy to tell you what I know. New research shows that zinc may be very effective in fighting the common cold, especially when takenin the first 24 hours of noticing symptoms. The article states that zinc appears to have antiviral properties that prevent the cold virus from replicating or attaching to nasal membranes. Which for the cold sufferer means less time feeling yucky. It seems that the research is still in some early stages as far as clear cut recommendations about the optimal dose, formulation or duration of zinc use. But if you go to your local health food store, there are ample zinc products to try and usually some knowledgeable staff to help you find the right product. I have found the straight up zinc lozenge to be helpful as well as a zinc with propolis spray which I’ve used for sore throat. Feel free to read the article below. Be Well! Scientists still haven’t discovered a cure for the common cold, but researchers now say zinc may be the next best thing. A sweeping new review of the medical research on zinc shows that sniffing, sneezing, coughing and stuffy-headed cold sufferers finally have a better option than just tissue and chicken soup. When taken within 24 hours of the first runny nose or sore throat, zinc lozenges, tablets or syrups can cut colds short by an average of a day or more and sharply reduce the severity of symptoms, according to the Cochrane Database of Systematic Reviews, a respected medical clearinghouse. In some of the cited studies, the benefits of zinc were significant. A March 2008 report in The Journal of Infectious Diseases, for example, found that zinc lozenges cut the duration of colds to four days from seven days, and reduced coughing to two days from five. While the findings are certain to send droves of miserable cold sufferers to the drugstore in search of zinc treatments, the study authors offered no guidance on what type of zinc product to buy. The authors declined to make recommendations about the optimal dose, formulation or duration of zinc use, saying that more work was needed before they could make recommendations. Zinc experts say that many over-the-counter zinc products may not be as effective as those studied by researchers because commercial lozenges and syrups often are made with different formulations of zinc and various flavors and binders that can alter the effectiveness of the treatment. “A lot of preparations have added so many things that they aren’t releasing zinc properly,” said Dr. Ananda Prasad, professor in the department of oncology at Wayne State University School of Medicine in Detroit and an early pioneer of research into zinc as an essential mineral. Two of Dr. Prasad’s studies were included in the Cochrane report. “The public is confused because people have used the wrong dose, they have used the wrong sort of zinc or they have not started the treatment within 24 hours of onset,” he said. Even so, the new report gives credence to the long-debated theory that zinc can be an effective treatment for colds. While it’s not certain how the mineral curbs colds, it appears to have antiviral properties that prevent the cold virus from replicating or attaching to nasal membranes. The first study to show that zinc might be a useful treatment for the common cold was published in 1984, but the research was criticized for its poor methods. Since that study, 18 more trials of zinc for colds have been conducted: 11 of them showed it to be a useful treatment, while seven of them showed no benefit, according to the review. Although a majority of trials have shown some benefit from zinc, many of them have been criticized for failing to “mask” the treatment, meaning the participants most likely knew they were using zinc, which may have skewed the results. At the same time, many of the trials that showed no benefit from zinc have been criticized for using formulations that may have contained ingredients that blunted the effectiveness of zinc. The Cochrane reviewers selected 15 studies that enrolled a combined 1,360 participants. The studies were all considered to have good methodological quality with a low risk of bias, but they were far from perfect. All the studies compared zinc use with a placebo, but in several studies the zinc users complained about the taste of lozenges, suggesting that some people may have known that they were using zinc rather than a placebo. Even so, when the data was pooled, the effect shown was strong. The review found that not only did zinc reduce the duration and severity of common cold symptoms, but regular zinc use also worked to prevent colds, leading to fewer school absences and less antibiotic use in children. People who used zinc were also far less likely to have a cold that lasted more than seven days. The studies used various forms and doses of zinc, including zinc gluconate or zinc acetate lozenges and zinc sulfate syrup, and the dose ranged from 30 to 160 milligrams a day. Several studies in the Cochrane review used zinc acetate lozenges from the Web site ColdCure.com, created by George Eby, the researcher who wrote the first zinc study in 1984. Dr. Prasad said his studies have used zinc acetate lozenges from ColdCure.com that contained about 13 milligrams of zinc. Study participants took a lozenge every three to four hours during the day for four consecutive days, resulting in a daily dose of 50 to 65 milligrams a day, he said. Some cold sufferers have been wary about using zinc since the Food and Drug Administration warned consumers to stop using Zicam nasal sprays and swabs, which contain zinc, after numerous reports that some users lost their sense of smell after using the product. The Cochrane report did not review any studies of nasal zinc products. One of the techniques I use in my practice is called Visceral Manipulation. This method of manual therapy allows me to work directly with the internal organs of the body. In the case of the persistent and lingering cough, we’re going to work with the lungs and the bronchi. This is where most people want to know how I’m going to get to their lungs which are deep in the body cavity. Using palpation skills and knowledge of anatomy, I use techniques which help me locate the lung and its support structures. Once I’ve got the lung I feel for the motion it has available. In a healthy lung we would feel a nice fluid coordinated motion of the lung and bronchi. This has not been the case in those I’ve treated that complain of a lingering cough. What I’ve found instead are fixations within the lungs and bronchi and sometimes up into the trachea(windpipe) and the esophagus. “Life is movement, rhythm, exchange and perpetual adaptation to new situations, assimilation and rejection, and defense.” When our visceral (organ) system looses its ability to move freely, the body is forced to compensate for this situation. This can lead to a functional problem and eventually, if the compensation is inadequate, to a structural problem. Back to our cough. Without adequate motion the organs of respiration can not do their job; coughs become unproductive, they linger on and are re-triggered by the very act of breathing. Treatment has consisted of stimulating the lung, bronchi, trachea and support structures in order to restore primary physiological motion. The result: clients report easier fuller breaths, less coughing almost immediately, or a more productive cough which allows the body to finish what it needs to. 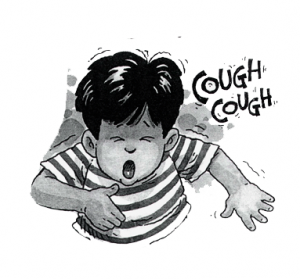 Clients have also reported that their cough is usually gone with in the week, sometimes sooner. If you are someone you know can’t seem to shake their cold or cough, check out the benefits that visceral manipulation can offer before you take that next round of antibiotics. I think you’ll be pleasantly surprised at how effective this therapy is! I was recently sent an article from The New York Times about a study that the National Center for Complementary and Alternative Medicine did on the effects of massage. They wanted to know if massage did more than “just relax your muscles.” What they found was surprising. The researchers at Cedars-Sinai Medical Center in Los Angles recruited 53 healthy adults and randomly assigned 29 of them to a 45-minute session of deep-tissue massage and the other 24 to a session of light massage. All of the subjects were fitted with intravenous catheters so blood samples could be taken immediately before the massage and up to an hour afterward. Now if only we could get health insurance to cover massage therapy. I just happened to tune into 91.7 yesterday and heard the last half of this interesting show about cell phone radiation and the possible effects of it to our health. Devra Davis is a scientist and professor. She founded the Environmental Health Trust and the first ever Center for Environmental Oncology. I’ll post the link to the show here. If you are at all wondering or worried about the possible effects of radiation we are all absorbing every day from using our cell phones, please listen to this show. Even the first 10 minutes will give you some insight. Devra also talks about the dangers of kids using cell phones, keeping cell phones on our body ( in a pocket ) and using computers in bed where we have the computer balanced on our lap or chest. Devra is not suggesting that we all stop using cell phones or wifi but that there are ways to protect our self from the harmful effects of radio waves that the industry has left unsaid. On February 1st 2011 an ordinance goes into effect here in San Francisco that will require the cell phone retailers to list in plain sight absorption levels of the different phones, which is the amount of radio waves absorbed into the cell phone user’s body tissue. Again, interesting information. Listen and decide for yourself. If you go to Devra’s website you’ll find some very helpful tips on how to reduce your exposure to cell phone radiation. In honor of completing my website and opening a new location in San Francisco I decided to spend an afternoon in quiet refection walking the beautiful labyrinth at Grace Cathedral. If you haven’t been there I highly recommend it. They have an indoor and outdoor labyrinth and both are lovely. I walked them both. It was a nice way to spend the afternoon, stepping out of time for a bit and letting my mind rest. As I walked, occasionally I would pass others on the labyrinth. I enjoyed these silent meetings of my fellow human, deciding without words how to pass on the path. There was always a kind smile to be had. 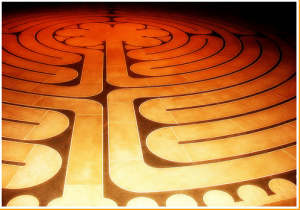 There is something so soothing and rejuvenating about labyrinths. A sense of calm expansiveness, focused energy and a quiet mind. When I arrived at the center of the labyrinth I stood there for some time, soaking in the stillness of my mind, the quiet of my body and freedom that I felt. Anything is possible was the message to me that day. I stood there longer and allowed that message to really take root in me. When I felt I was ready to leave the comfort of this space I began my journey back into the world. I again followed the winding path, leaving the way I had entered. My intriguing discovery – the path was the same, I was different. I rejoined the world with focus, excitement, and strength. Not long time ago we shared a delightful piece of information with you about our second office opening in San Francisco. We have been working hard and are proud to invite you to join us on our Facebook page. We hope that this page will be a resource for health and wellness related information as well as a community resource page for other practitioners you may want to check out. Feel free to post comments, say hi, tell us how you’re doing after one of our sessions or pass on Moon’s info to others who you feel may benefit from her work. We love hearing from our customers about their healing experiences and we love meeting new people! 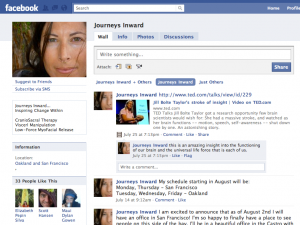 Journeys Inward Now in San Francisco! I am excited to announce that as of August 2nd I will have an office in San Francisco! I’m so happy to finally have a place to see people on this side of the bay. I’ll be in a beautiful office in the Castro with several other practitioners offering a variety of health care services. It’s amazing how quite it is once you step inside the door, a whole different world from the bustle of Castro Street. Make an appointment today not to miss this wonderful opportunity to be my first client in San Francisco!